Spoiler warning: Major details plot from “The Fate of the Furious” below. 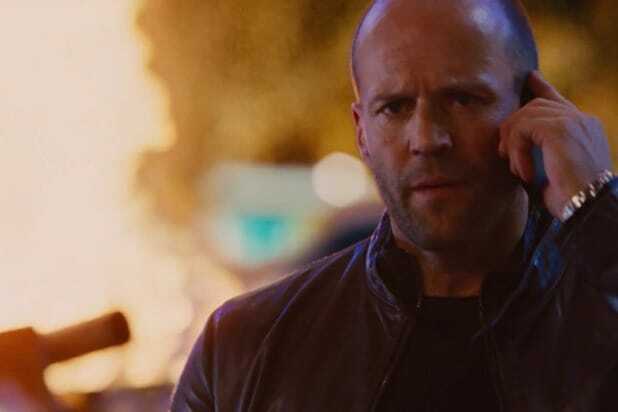 Which has led to some pretty severe backlash over “Fate” thanks to the creative decision to allow Deckard Shaw (Jason Statham) to become a member of the #family at the core of the series. Deckard is just one movie removed from having murdered #family member Han (Sung Kang), after all, so it does make sense that folks would have some trouble with this. But, while not as smooth a transition as it should have been, Deckard’s turn to the light is definitely given enough justification in “Fate,” both in terms of the actual plot and in theme. Shaw’s redemption is set up within the plot by a convenient retcon of “Fast & Furious 6” — that “Fate” villain Cipher (Charlize Theron) was the real power behind Owen Shaw’s (Luke Evans) attempt to steal the nightshade device in that movie. Shaw of course ended up in a coma after Dominic Toretto (Vin Diesel) and his #family stop him, and Deckard (Owen’s older brother) spent all of “Furious 7” trying to hunt down and kill them in return. But Cipher’s reveal as the prime mover of Owen’s mistakes means Deckard’s anger at the Fast Family was misdirected. So Deckard, now given the opportunity exact revenge against the person who was truly responsible for putting Owen in a coma, comes through for the family in a legitimately huge and legitimately heroic way, by saving Dom’s secret baby son who was being held hostage by Cipher. But ‘Fate’ also justifies Deckard’s redemption thematically. In the film’s prologue, long before Deckard appears or is even referenced in the film. In that sequence, Dom beefs with a loan shark who wants to repossess his cousin’s old junker car. In retaliation, Dom challenges the jerk to a race for slips, and naturally wins. “You have my respect,” the jerk tells Dom after the race. “Your respect is enough,” Dom says in return, then lets the guy keep his car. That idea is more or less what the entire “Fast and Furious” franchise is about. People beef with Dom and Brian ways both big and small and then end up having Coronas together later. Also, there is precedent for someone being responsible for the death of a family member and then later becoming a family member themselves. That scenario already played out once, in fact. So let’s talk about Gisele. As you may recall, Gisele (Gal Gadot) featured in three “Fast and Furious” movies, entering in the fourth and exiting in the sixth when she died during the climactic runway chase. Gisele is, I’d say, the character who most clearly represents the ideals that the “Fast and Furious” #family is all about. How exactly Gisele came to be a part of the family and what she was up to before is a memory that I suspect is hazy for most people — even a lot of self-proclaimed die-hard fans of the franchise. The fourth movie is not particularly well liked, and it wasn’t until “Fast Five” that most people found their emotional entry to the series. Not that “Fast and Furious” was some obscure franchise before that. There just weren’t that many obsessed fans back then, and nowadays folks tend to look down on no. 4 and “2 Fast 2 Furious” in particular. But that fourth movie, confusingly titled “Fast & Furious,” is crucially important to remember when you’re watching “The Fate of the Furious,” because Gisele’s origin story and her later acceptance as part of the family is strikingly similar to something that folks are up in arms about with that latest entry in the series. When we first met Gisele she was a high-ranking lieutenant in the Braga drug cartel — outranked, as far as we could tell, only by Braga himself (John Ortiz) and with Fenix (Laz Alonso) as her equal. Whereas Fenix acted as the dumb enforcer (and was the one who physically pulled the trigger on Letty), Gisele was the logistics person. We met Gisele because Dom and Brian (Paul Walker) were trying to infiltrate the Braga cartel by posing as drivers-for-hire who would race drugs across the Mexico-U.S. border. Both had a very personal stake in that infiltration — the cartel had (apparently) murdered Dom’s girlfriend Letty (Michelle Rodriguez) after she infiltrated in the same way while working as a mole for the FBI… and Brian, to secure legal amnesty for Dom. And she wasn’t the only victim either: As Brian and Dom discover, after each drug run, Fenix would execute all the hired drivers, and Letty was a casualty of that brutal tactic. Let’s also not forget that, as a top lieutenant in a sprawling drug cartel, she was almost definitely involved in numerous other criminal activities that caused people being killed. Gisele may have been friendly at times, but she was a certified Bad Person. And yet, when Brian and the FBI pulled a sting on Braga, and Fenix almost ran Gisele down as they escaped, Dom saved her life. In repayment, Gisele told him where to find Braga in Mexico. The next time we see her, she’s joining the crew in Brazil as they gear up to pull a $100 million heist on another drug lord. Everybody still thinks Letty’s dead, Brian and Dom and Mia all know she was responsible, but nobody’s getting on her about it. Also Read: 'Fate of the Furious': What Exactly is Cipher's 'Zero Day' Car Hack? Given her very clear involvement in Letty’s murder, it would have made sense for Dom to want to kill her just as badly as he wanted to kill Braga and Fenix. But these movies aren’t about revenge. These movies are about redemption. The “Fast and Furious” franchise is littered with characters who started out beefing with Dom or Brian before later helping them out. Those racers humiliated by Brian at the beginning of “2 Fast 2 Furious” showed up later to help him in the big shuffle at the end. A guy who lost his car to Dom in a race in Brazil pulled a gun on Hobbs for Dom ten minutes later. 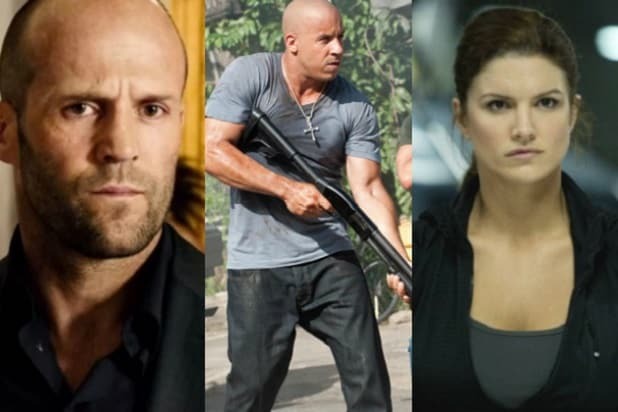 Hobbs himself was dead set on taking down Dom and Brian for the first 90 minutes of “Fast Five.” Elena, who by the way is revealed as the mother of Dom’s baby in “Fate,” was part of Hobbs’ team trying to take Dom and Brian down. And, of course, that terrible Cuban jerk we mentioned earlier? He showed up later on to help Dom out during “Fate’s” insane New York City carpocalypse scene. In fact, the only reason Dom and Brian even met and went on to become #family co-patriarchs in this ridiculous eight-movie chain of events was because Brian was an undercover cop investigating Dom and the family — an extremely thorough betrayal of trust. Also Read: 'Fate of the Furious': Can a Submarine Really Outrun a Car? Oh, and Letty and Dom’s old friend Han — the guy folks believe is being disrespected when Shaw is allowed his redemption — started dating Gisele even while everybody thought Letty was dead. This is the true nature of the family. It’s about forgiveness and redemption. It’s about accepting each other’s immense flaws and looking past them. Pardon the cliche, but it’s not as though killing Deckard Shaw would bring Han back. But maybe, just maybe, if you give the guy a real chance to redeem himself and become a positive force — and then adopt him as your 49-year-old son — then maybe Han’s death would actually serve some purpose. Back before all this madness began, when Dom was young, his father died in a stock car race when another driver named Kenny Linder tapped his bumper and he spun out. Dom took his revenge then, nearly beating the guy to death with a wrench. Linder came out the other side of that coma Dom put him in severely disabled, having to take the bus to his janitor job because he’s no longer capable of driving a car. So Dom took a different path with Gisele in “Fast & Furious” and, now, Deckard in “The Fate of the Furious.” Nobody forgot about Han. It’s just that Dom knows as well as anyone that what you’ve done in the past doesn’t have to define who you are in the future. You can be better. And being part of the family can make you better than better, because together they become so much more. And that is the entire point of the franchise.